COMPETITION TIME!! 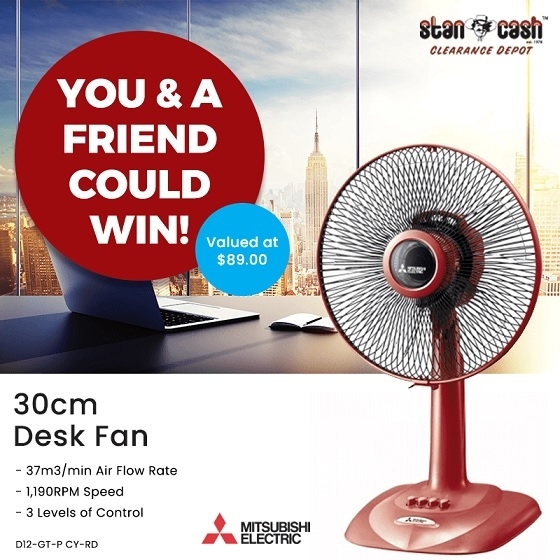 During April YOU & a friend have the chance to WIN this COOL Mitsubishi Desk Fan! !